It’s officially 2014 and today is my 24th birthday. It’s also my first day of school in over 4 years. But it’s different this time around. Though I’ve worked as a web designer/web marketing consultant for the past 5 years, I wasn’t entirely happy with the direction of my life. I felt trapped and isolated, like there was no chance of changing my life’s direction without a drastic change. That change manifested in the move back to Dallas, TX this past August. 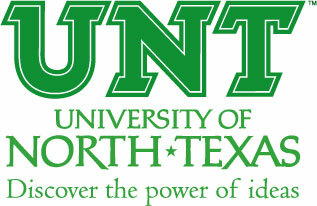 With a new city and a new beginning I enrolled in school again, choosing to follow my passion of writing by getting my Bachelor of Arts in English with a Concentration on Creative Writing from the University of North Texas. It’s a scary thing in some ways, the idea of starting over. But the important thing is finding my own path and doing what I love. I was relatively content with my career in web design, but it didn’t really make me happy or fulfill me as a person; not in the way that my writing does. And look at the results so far: I’m back in school on my way to a new career path, I’ve become a part-time sports writer and member of the press for the Dallas Mavericks, and for the first time in a long time feel like the future is filled with potential as my debut novel Affliction continues to work toward publication. In short, I just want to say thank you to anyone whose helped me get to this point. I’ll do my best to make you proud.